Lunchtime or recess at school – Snackin’ Sticks are the perfect addition to your little one’s lunch box because they’re rich in nutrients and have outstanding hydrating properties making them brain food for thought! 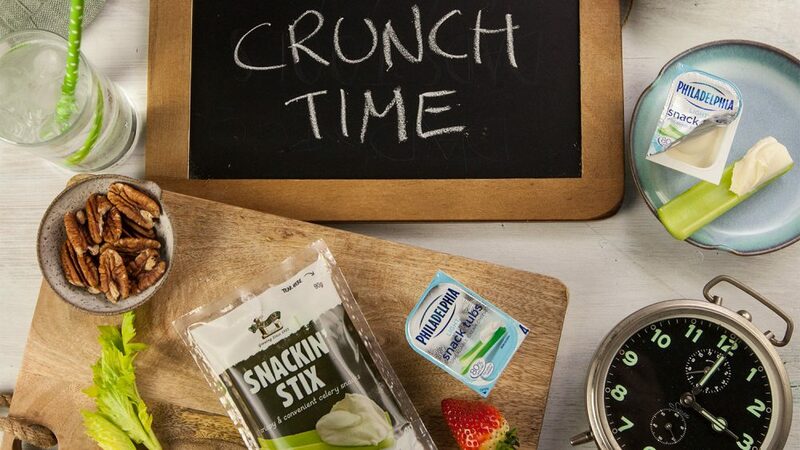 Pre-dinner snacks – Trying to hold off till dinner but the stomach grumbles have already begun? Celery sticks are your answer to a quick fix that will keep your hand out of the cookie jar and won’t overwhelm you before a meal. Grabbing a few things to bring over to a friend’s or family’s get together? Don’t leave celery out, they love any chance to get together with some Philly Cream Cheese or really any dip and we promise they’ll impress everyone’s tastebuds. On a study break or racing between lectures? This calls for an emergency stash of Snackin’ Sticks! Thankfully the 90g Snackin’ Stix are an ideal size to fit in most bags! Has homework or work followed you home and threatening to invade your downtime? We bet you need a tiny boost and you guessed it – eat some celery! It won’t leave you in a food coma and it’s a guilt free snack so you can rest easy when bed time rolls around! 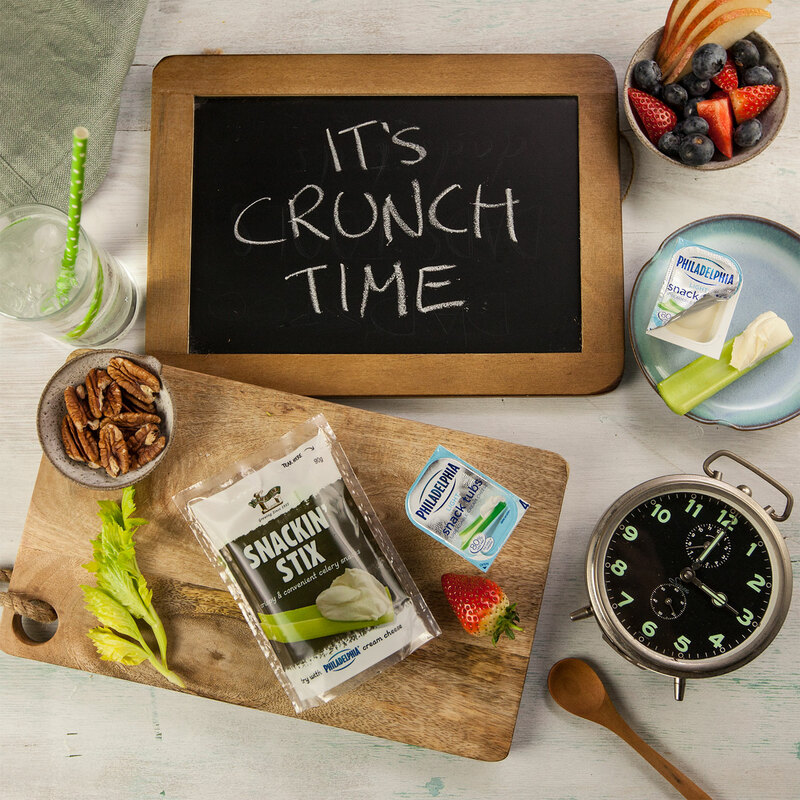 But ore importantly, how do you get your crunch on?